Jefferson, one of the biggest brand that represent men’s fashion today, now has its own online store to serve all the Internet users! We are proud to be the official web designer and developer to build the brand new online shopping experience for Jefferson. Jefferson Online Store launched on 1st of July, 2014. As a matter of fact, they are giving out RM20 online cash voucher for all new online registration! Additionally, they are also giving an all-time 10% discount for registered member, so make sure to register yourself at their store as soon as possible to enjoy all the great benefits! In case you are hunting for the best price and outstanding designed apparel for men, then this is the best place to go. 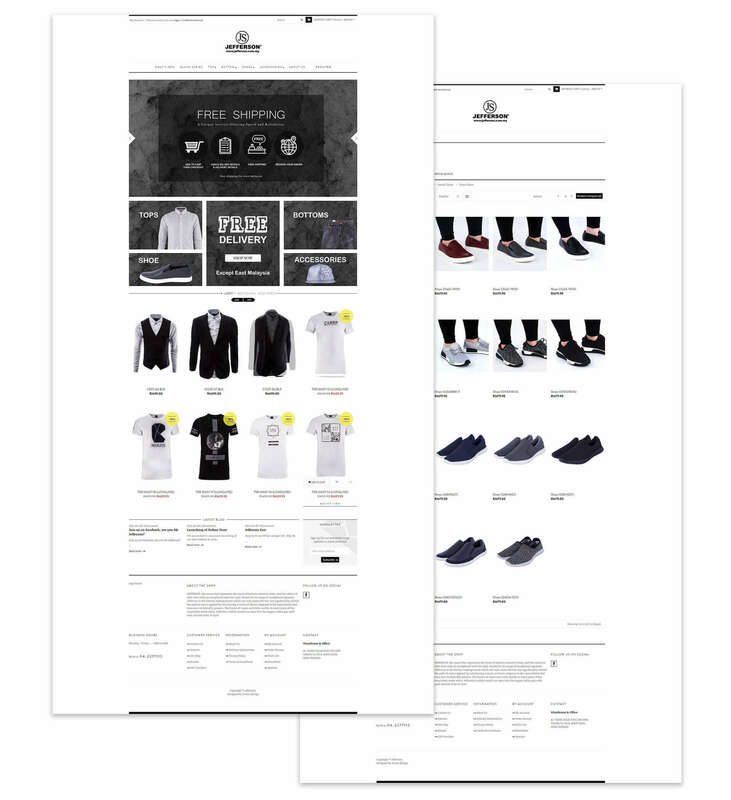 If you are interested to build an online store like Jefferson, kindly contact us!